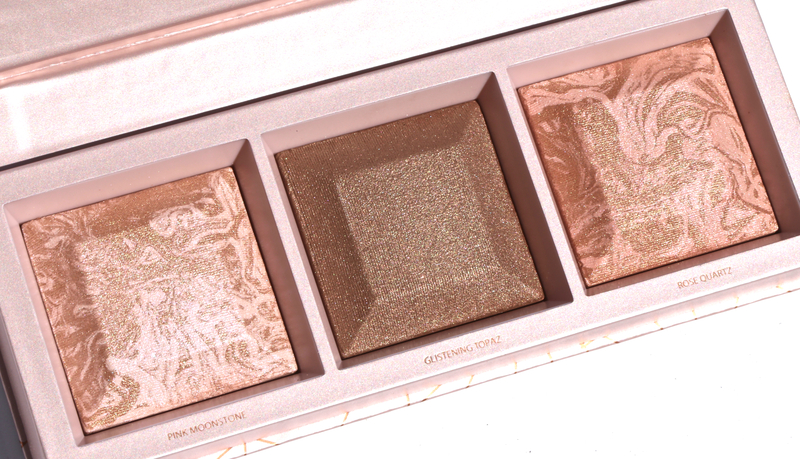 Bare Minerals is a brand I’ve known for a while but have not really delved into all that much, so when the Crystalline Glow Bronzer & Highlighter Palette and Lashtopia Volumizing Mascara arrived, my curiosity was piqued. The fact that both products sit well within my highlighter & mascara-loving wheelhouse was just a happy coincidence … but I’ll take it! 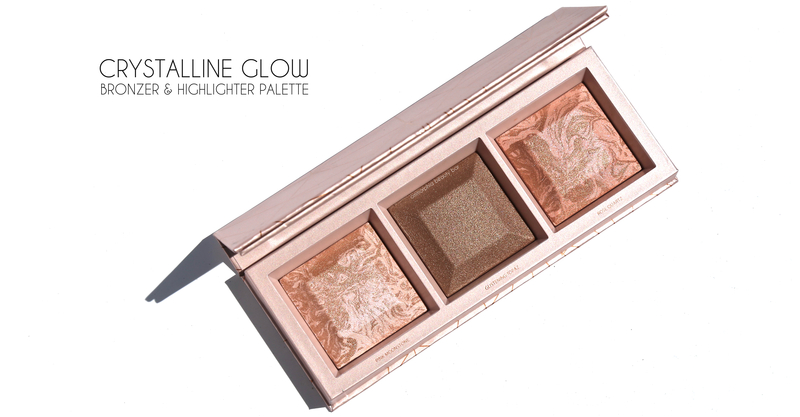 Crystalline Glow Bronzer & Highlighter Palette (CAN $42.00) | Housed in a sturdy cardboard casing with a magnetic closure and bearing a linear pattern in muted rose gold on the lid, this palette features 2 highlighters and 1 bronzer. Inspired by the way light reflects and refracts, the baked formula contains actual crushed rose quartz crystals and all shades can be applied either dry — which yields a lighter wash of colour, or with a dampened brush for high intensity and depth of tone. 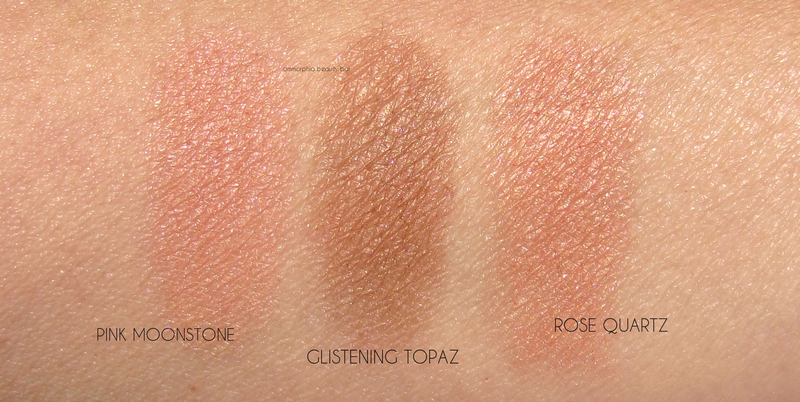 I was not expecting how beautifully all 3 shades would swatch; velvety to the touch and with enough colour payoff per swipe as to be readily visible. There is some powdery kickback seen when swirling a brush along the surface — nothing that a quick tap couldn’t solve, and while shimmery, it’s of the smooth variety that just seems to get better with the wearing. Longevity over foundation is quite good, without showing signs of oxidation at all. 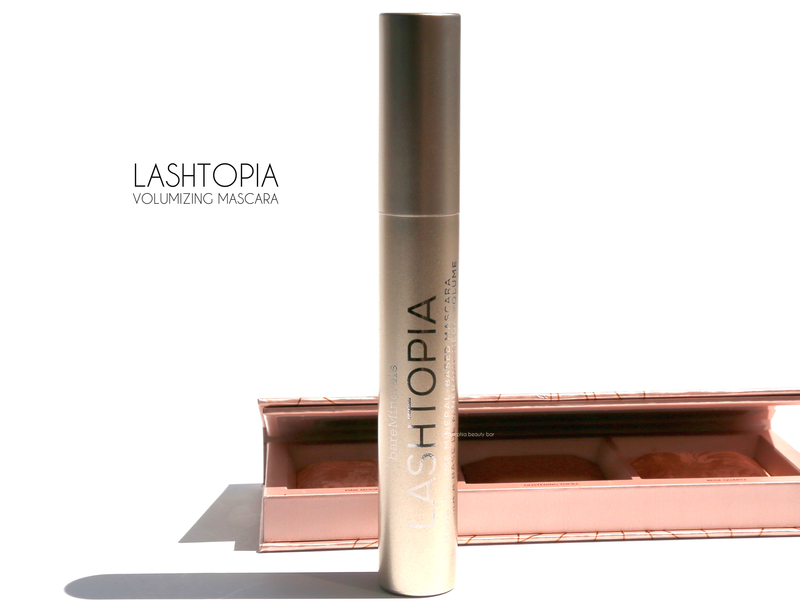 Lashtopia Volumizing Mascara (CAN $25.00) | Made with nourishing minerals, ‘lash-loving’ ingredients, and deep black mineral pigments, this formula is said to ‘provide up to 10 times the lash volume while lifting & separating for fanned-out fullness … as well as maximum color impact for all-day wear that’s smudge, clump, and flake-resistant’. As well, the brush features over 600 soft staggered bristles which help in reaching lashes of varying lengths to quickly add coats of colour. Let me state that my mascara expectations are very high, so when I read certain claims, I expect them to deliver — although I always approach things with an open mind. As well, in general how well a mascara performs also has to do with your own lash preferences; what works for one person, may tank on someone else, and vice versa. With that out of the way, and after multiple testings of this mascara, I can honestly say that I have mixed feelings. With regards to volume, I was expecting more fullness and so that was somewhat disappointing. However, the length achieved and how well it separates, lifts, and holds a curl, was an unexpected & happy surprise. 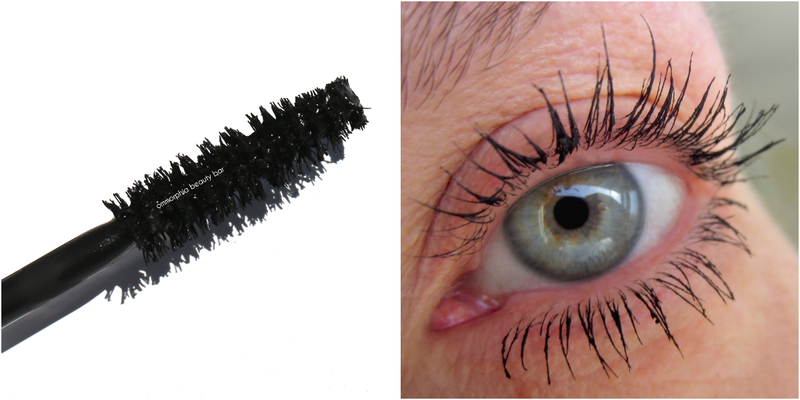 The brush is oversized and while easy to use, those with thinner lashes or close-set eyes may find it a bit challenging. The formula has a wet consistency (which I prefer) and is quite pigmented (yay! ), staying flake & smudge-free throughout the wearing, but also is removed easily at the end of the day. 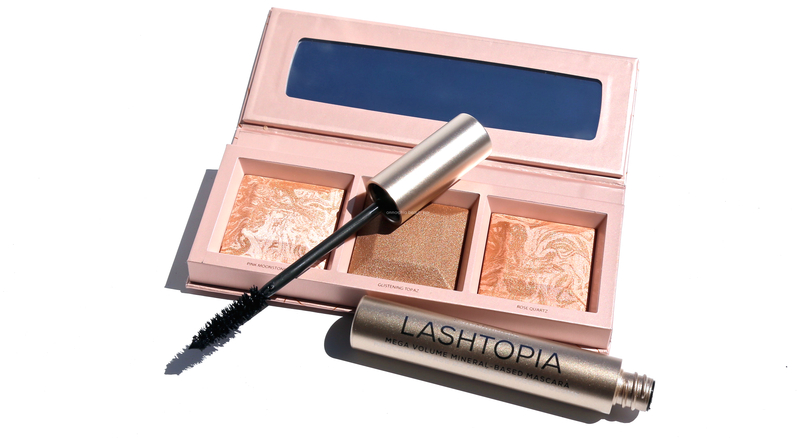 I really love the fact that consumers now have options when it comes to luxury beauty that also happens to be good for you, and Bare Minerals is a brand that has been at the top of that leader board for some time now. 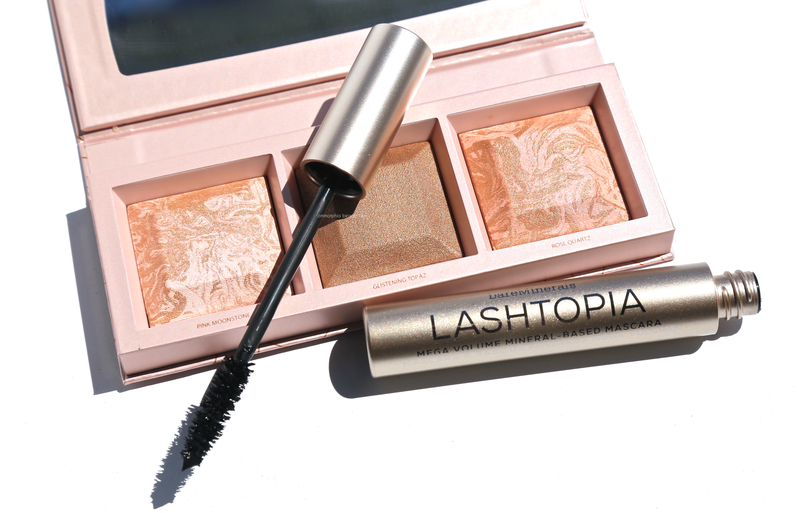 Regarding the two products featured here, the palette is definitely worth looking into, as you not only get bang for your buck, but the quality is superb. As to the mascara, if you’re into a more ‘natural’ effect, then this product is the one for you — with a side bonus of a lovely curl and nice length, at that. Glad you enjoyed it! ?